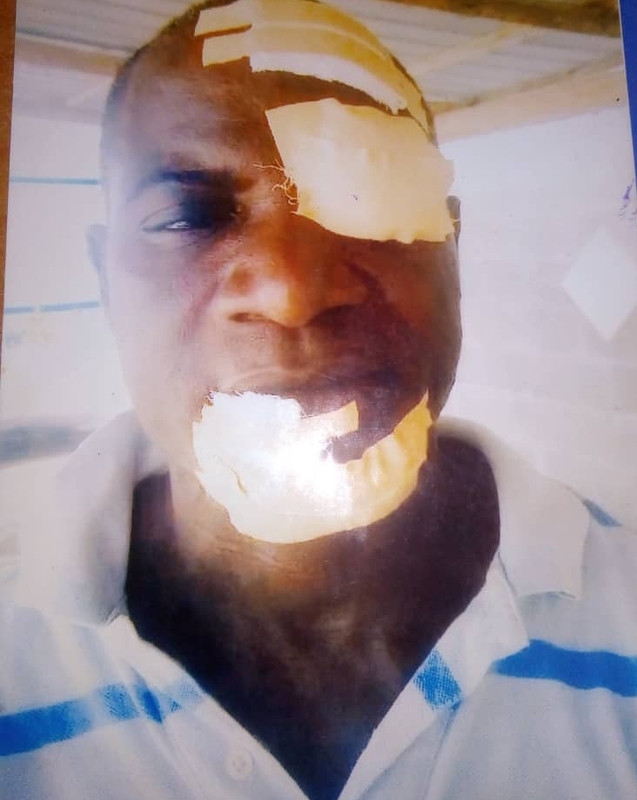 A Ghanaian citizen, Mr Isaac Manu, a resident of Kasoa CP, in the Awutu Senya East District of the Central Region, has accused the Ghana Police Service of cover over an assault he suffered in the hands of some police officials in 2016. The victim in an interview with Rainbow Radio 87.5Fm indicated that one CID Vivian, in October 2016, sent another police officer and a civilian to arrest him at his private residence. He narrated to the station that the officer and the civilian, did not only come to arrest him but subjected him to severe beatings and later sent him to the police station but the Kasoa police station failed to keep him at the station because they realized he was in a critical following the severe beatings. According to him, he was asked to visit the hospital due to his situation. Mr Manu further alleged that the said CID who sent his men to arrest him over an alleged stolen vehicle, gave him GHc200 with Matthew Adrah also sending him GHc400 to help pay for his medical bills. He said the CID and the police officer promised to help him cover his bills but they have since failed to honour their pledge, he added. Currently, the victim has undergone two surgeries and awaiting the third one to correct his eye. Per medical reports available to rainbowradioonline.com, the victim sustained contusion of the tissues or the forehead; abrasions on the body due to the object hits; deep cut on the lower lip and trauma of the eye and Severe joint pains and headache. He was detained at an emergency ward at his visit to the St. Gregory Health Hospital on his first day of visit in 2016. The victim’s medical examination report issued by the Amporful Clinic revealed that he was hit with metal. Other findings included a swollen at the left eye with reddish sclerea and inflamed conjunctiva. Diagnosis also included trauma secondary to hit and hypertensive. Aside from that the St. Thomas Eye Hospital after an examination, disclosed that the victim suffered a left traumatic dislocated crystalline lens that ‘’needs to be fixed with a visionary and a sclera fixed artificial lens’’. Mr. Isaac Manu is further alleging that the police administration has called for a settlement of GHc20, 000 in order for him to forget about the assault but he says his condition and the cost he has incurred as well as the pain he suffered in the eye, is worth more than the money being offered. He has since petitioned the Police Intelligence and Professional Standards (PIPS) to help bring his assaulters to book but all efforts to get the service deal with the matter, have proven futile, he added.